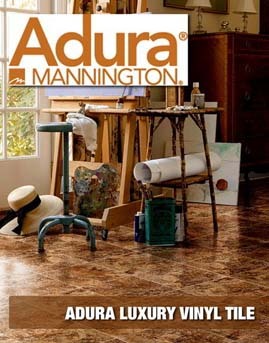 Adura provides the look and elegance of wood, tile, or stone without the worry! 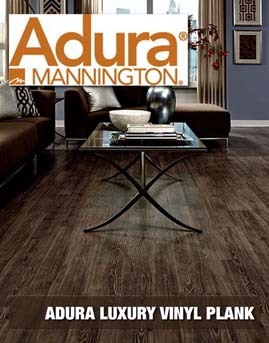 Available in a variety of shapes, sizes, textures, and installation options, Adura delivers award-winning fashion to your home. With proprietary technology, Adura is engineered to look and feel like the real thing, easy to maintain, and is backed up by a limited lifetime residential/6 year light commercial warranty. 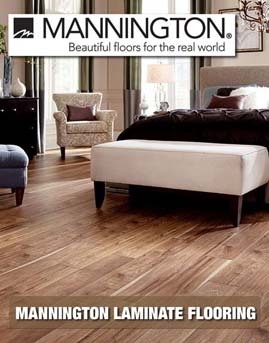 Offering the most realistic wood and tile looks, Mannington Laminate Flooring is one of the most durable and environmentally friendly floors you can buy. Made from over 70% recycled content, using low-VOC inks and adhesives, Mannington laminate is FloorScore certified, ensuring good indoor air quality for your home. Choose the laminate flooring that is rigorously tested and proven by a third-party test facility. The NALFA Certification Seal proves that our floors passed demanding performance tests. Our floors comply with all CARB (California Air Resource Board) requirements for product emissions.